Sunday night, the second season of one of my favorite shows on TV, “Once Upon a Time” started on ABC. The show features the heros and the villains from fairy tales who have all been exiled from their fantasy world to our reality. Characters like Snow White, Red Riding Hood, the Mad Hatter, Pinnochio, the Evil Queen, Belle, the Blue Fairy, and of course, Jimminy Cricket. 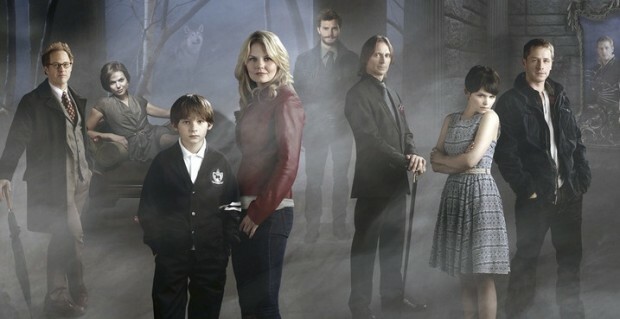 A curse has sent them all to the fictional seaside town of Storybrooke, Maine where they have all kinds of adventures. Its an amazing TV series. Feels like a movie every week! The only real let down of the show is that the dwarfs are not little people. Dopey just should not be over 3 feet tall. See the thoughts you miss out on without ADD. Back in June famed thriller author John Grisham sent waves through the publishing industry by auctioning off the chance to name a character in his new novel. All of his fans went crazy for the chance to be written into his story. Everyone wants to have a story worth telling. I think every human being on the planet wants to be known. I have people all the time say man I wish I could travel and speak like you do. Don’t get me wrong I LOVE what I do, but I always respond, “Really… you want to drive all night like I do? You want to get stuck in an airport for 12 hours? You want to be away from your family for long periods of time? You want to stay in the hotel where some random sound keeps you up all night? You want to give up the security of a salary?” Every dream comes with a price. Most people don’t chase their dream because they are not willing to pay that price. I have no idea what Joel Olsteen talks about in his book, “Your Best Life Now”, but I can tell you this; your best life now (or later), is having the guts to have dreams, passions, goals that are not just fairy tales in a far off land. Fairy tales make for good TV shows and theme parks, but reality is way more fun. I promise that you will encounter villains along the way and I can’t promise glass slippers or castles, but I can promise that it is more of a nightmare to settle for someone else’s story and their dreams when yours will be way better. So many of us have bought into fiction rather than living in our truth. We are stuck in someone else’s reality that we have turned into our fantasy. Don’t get stuck in Storybrooke! In the end, its so much better to live a great story than to settle for fiction. The ending may not be predictable but the journey is sure to be memorable. Cinderella’s pumpkin may not show up for you. Your beast will probably not turn into a prince. Your story may better and I promise it will be so much better for you to be in your own story rather than settling for someone else’s!